So on Thursday the president reversed decades of U.S. policy, by tweet of course: He posted that the United States should recognize Israeli sovereignty over the Golan Heights, a rocky plateau that Israel seized from Syria during the 1967 Arab–Israeli war. This was a purely political gesture to solve a problem that didn’t exist. There was no pressure on Israel from any quarter to return the Golan to Syria, a country wrecked by civil war and penetrated by Iran. Nor will U.S. recognition of Jerusalem’s 1981 annexation of the Golan make Israel any safer. 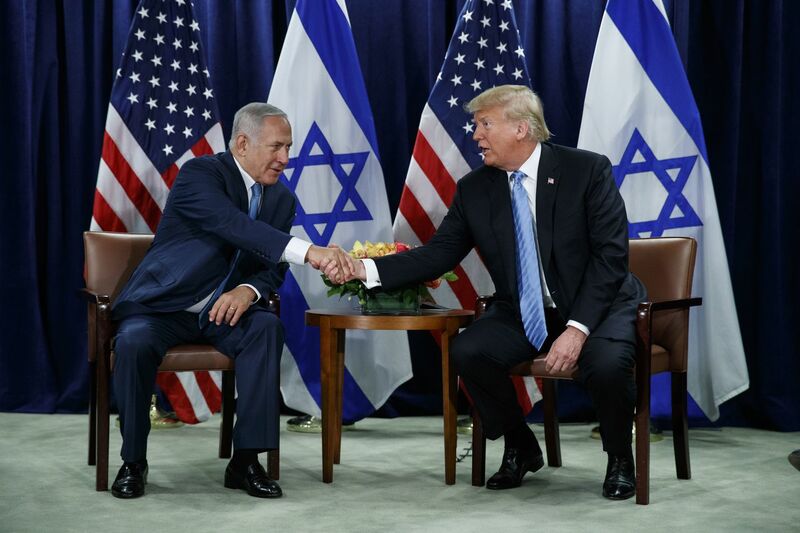 On the contrary, Trump’s political boon for Bibi will prompt unnecessary new threats to the Jewish state. To understand why, a little background on the Golan is helpful. Driving along the western edge of the heights one can look directly down on towns and villages of northern Israel, practically into the windows of some residential homes; Syrian artillery regularly shelled Israel from the heights between 1948 and 1967. Since 1974, U.N. observers have patrolled an armistice line on the heights between Israel and Syria. In 1999-2000, Israel offered to return most of the Golan. But peace talks foundered because Syria wanted every inch back. On my most recent trip to the Golan, 15 months ago, it was apparent why Israel could never return the entire territory in the foreseeable future. Driving along the Israeli side of the armistice line, one could see smoke rising in the distance. The same Iranian-backed militias that helped Syrian President Bashar al-Assad essentially win the civil war were trying to seize turf along the Syrian side of the armistice line. Pro-Iranian Hezbollah fighters were joining that fight, arriving in Syria from Lebanon, just to the north of the Golan. Syrian civilians were crossing daily into Israel for medical treatment. Yet – let me emphasize again – there was no pressure on Israel to return the Golan, not from Syria, not from Arab states, not from the international community. Indeed, life on the Israeli side of the Golan was, and still is, relatively prosperous and peaceful. Israeli troops, and Israeli planes had the area under control. At least 20,000 Israelis have moved to the Golan, many in prosperous agricultural settlements, featuring apple orchards and high end wineries (including Pelter, which sells to acclaimed Israeli restaurant Zahav in Philadelphia). The bulk of the Syrian population on the Golan are Druze, a small religious sect that was able to reconnect with many of their brethren who live in northern Israel. With heavy investment, the Druze capital Majdal Shams was booming with restaurants and cafes, and young women shop in western-style dress. I was told by then Majdal Shams mayor Dolan Abu Saleh that, since the Syrian civil war, Druze had change their attitude toward Assad, perceiving him as a puppet of Iran and Russia. They were not eager, he said, to return to Syrian control and Russian hegemony – or to a simmering civil war. But very few were willing to take Israeli citizenship (as Saleh had done), because of the negative impact that would have for their Druze relatives on the Syrian side of the border. So to summarize: before Trump’s tweet on the Golan, the internal situation in that region was stable. Assad had no chance to get the heights back, nor were Sunni Arab states raising the issue. Moreover, Russia, in understandings worked out with Israel, had pressed Iran to keep its proxies far back from the armistice line. The Russians, who control much of Syrian air space, were also letting Israel bomb many Iranian military targets in Syria. U.S. recognition of Israel’s annexation of Golan would upset this positive scenario on several fronts. First, by formally recognizing Israeli annexation, Trump would raise the issue of Israeli violations of international law. Most of the world protested Russia’s annexation of Crimea, a part of Ukraine, so how to avoid chastising Israel for annexing land that is a sovereign part of Syria. Nobody was raising the issue before Trump’s tweet, but now Syria, Iran, Hezbollah, and Russia may see an opening (or feel the need) to challenge Israel. The Syrian Druze on the Golan, caught in between, may be forced to protest. All for no practical Israeli gains. Equally adverse, a U.S. nod to Israel’s annexation of the Golan has already emboldened Israeli right wing parties that want Jerusalem to formally annex much or all of the West Bank. Knesset (parliament) speaker Yuli Edelstein told a huge crowd in Tel Aviv last week that U.S. shift on Golan was a first step toward U.S. recognition of Israeli sovereignty there. Down this annexation path lies a one-state solution to the Palestinian problem in which Israel winds up ruling permanently over a majority of disenfranchised Arabs. Forget about any Trump-led peace “deal of the century.” This is the road to a form of apartheid. Trump’s tweet indicates this would cause him no heartburn. His only goal is to help reelect his scandal-plagued counterpart in Israel. Or perhaps to please his evangelical supporters. Apres tweet, le deluge, in Israel and elsewhere.